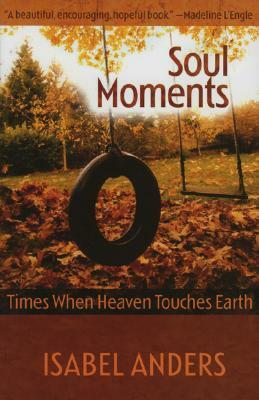 Soul moments--times when heaven touches earth--are here and now, in the thick of things, sometimes occurring as we are most aware of our human limitations and confusion. They encircle us, and, for their moment, name us: loved, beloved, cherished, chosen. The experience passes, but the soul bears its indelible mark." --from the Introduction In her characteristic clear and ringing prose, Isabel Anders draws on her experience as a wife, mother, and professional to describe the many everyday ways that the sacred and secular overlap in daily life. Readers will recognize in Anders's writing the reality of their own soul moments, past and present, and will be made newly aware of such moments that have yet to come.